Nothing brings the stars out in force like a David Mamet play! 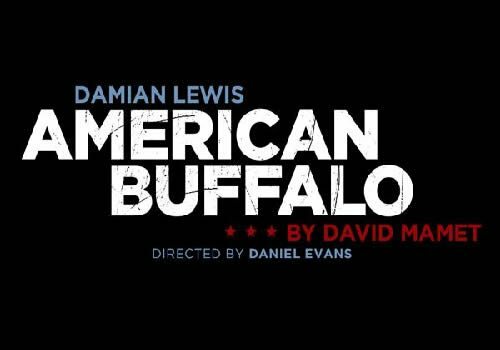 Following the success of Speed-the-Plow starring Lindsay Lohan in 2015, Mamet’s American Buffalo arrives at the Wyndhams Theatre starring Damian Lewis OBE. Damian Lewis returns to the stage after a 5 year hiatus in order to play take up a role in the show, which is to be directed by the Olivier Award winning Daniel Evans. Lewis is known for his roles series’ Band of Brothers and Homeland. Joining Damian Lewis is Hollywood film star John Goodman (The Big Lebowski, Monsters Inc) who will play Don Dubrow and Tom Sturridge who will play Bob. The entire action of American Buffalo takes place in one location. Don’s Junk Shop in Chicago. Whilst the setting of the play is relatively minimal, the plot twists and emotional weight certainly fill the stage. Pulitzer Prize winning writer, David Mamet, is known for his curt dialogue, peppered with foul language, and this play is no exception. The show will run for a strictly limited season between 16th April – 27th June 2015. As mentioned above, the show contains a lot of swear words and themes of an adult nature, therefore American Buffalo is not suitable for children.